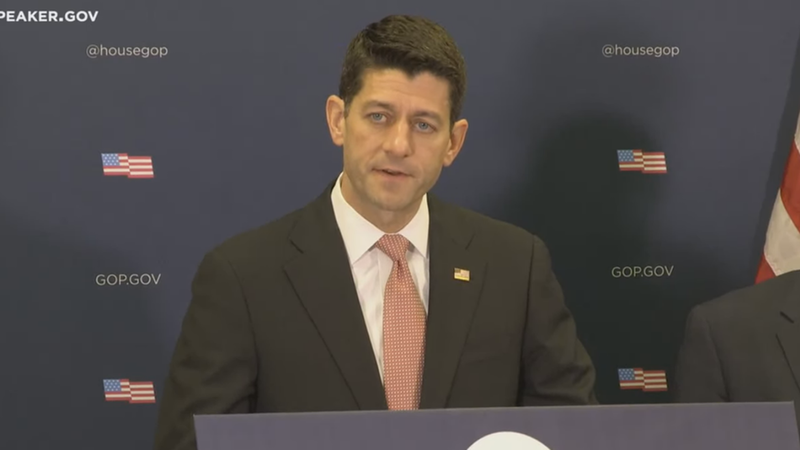 At the GOP House Leadership press conference this morning, Paul Ryan told reporters that Republicans are "united around our agenda" and "not going to retrench into our corners" even after last week's failure to repeal Obamacare. Obamacare repeal and replacement is "too important" for "an artificial timeline," but Republicans will "work together and listen together until [they] get this right," Ryan said. Ryan also said that House Intel Chair Devin Nunes should not recuse himself from the ongoing Russia investigation and added that he doesn't know Nunes' source.